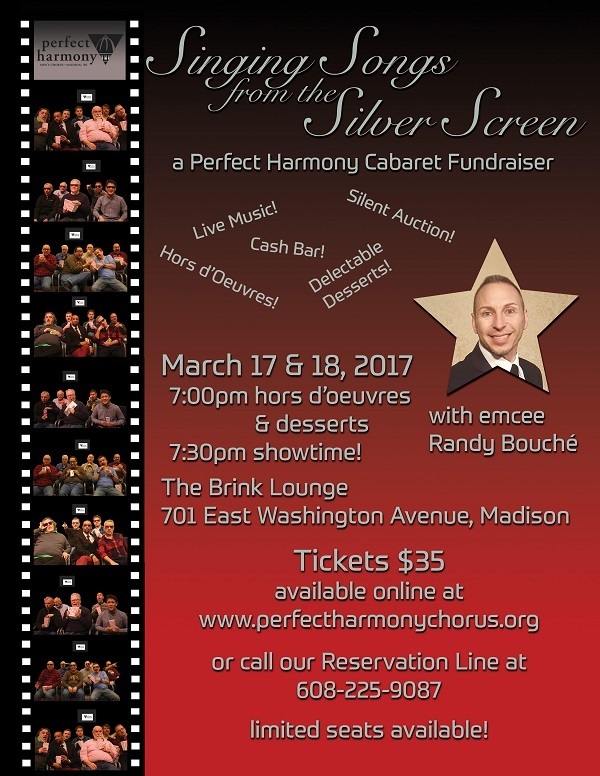 Join Perfect Harmony Men’s Chorus and emcee Randy Bouché for our annual cabaret fundraiser, featuring live music from films across the decades, hors d’oeuvres, desserts, and a silent auction! Cash bar available. Doors open at 7pm, show time at 7:30pm! Event is on both March 17 and 18, 2017.